For blind size above, window opening needs to be 1/2" wider for correct fit. For flush mount, an opening must be 3 inch inches deep. 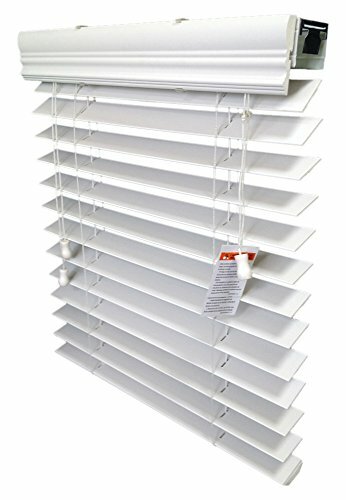 2 inch flat PVC foam slat with high profile steel head rail with beautiful inside-mount valance to cover the front of the steel headrail. The valance size is 3 1/4" without valance returns. Premium Wood Tassels with solid Trapezoid PVC bottom rail. Tilter cords on the left. Lift cords on the Right. Installation instruction and mounting hardware included. To download the installation instruction, please see under Technical Specification. If you have any questions about this product by US Window And Floor, contact us by completing and submitting the form below. If you are looking for a specif part number, please include it with your message.